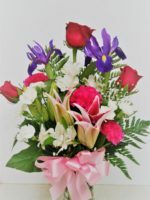 Choose The Moulin Rouge to say I Love You in a very special way. 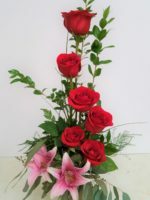 6 red roses designed in a handsome red vase adorned with a bracelet. Perfect in every way. 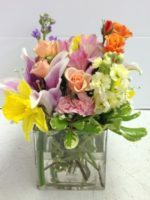 A Roadrunner Florist Exclusive. 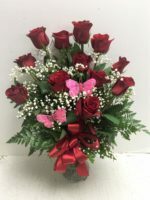 One of Pamela’s favorites, The Moulin Rouge is an amazing design of 6 long stem red roses in a handsome red vase that’s accented with a real bracelet for her to enjoy. 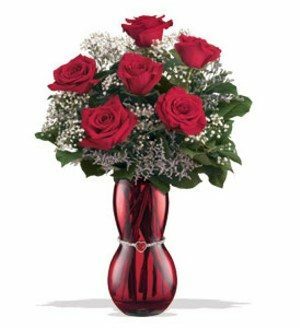 Perfect red roses, pretty greens and filler, and the Moulin Rouge vase and bracelet are the ideal way to say I Love You for Valentine’s Day, an Anniversary or Birthday or if you’re in the dog house! When you really want to express your love, choose The Moulin Rouge. 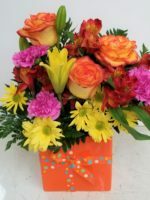 If you’d like a dozen red roses instead of 6, simply call Tina at 602-246-1271 and we’ll be happy to design and deliver that for you. 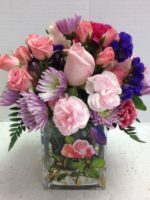 Our supply of the Moulin Rouge vase is limited, so hurry and order now! 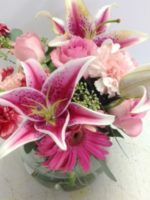 If we run out, we’ll substitute a beautiful red vase that she’ll love just as much! 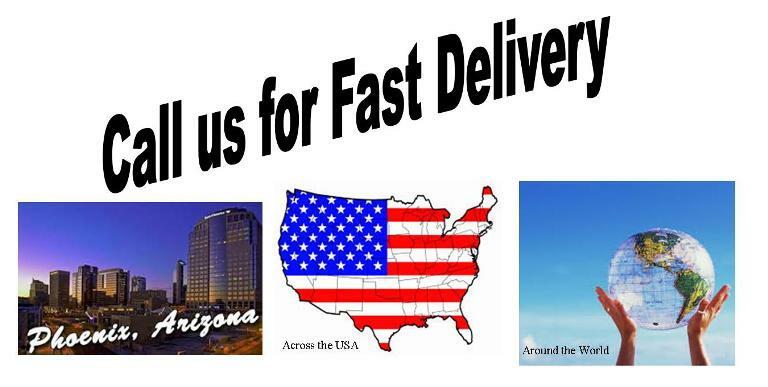 This is for LOCAL PHOENIX DELIVERY ONLY. 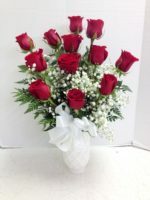 You might prefer 18 red roses!